Request the FREE Gardener’s Idea Book from Proven Winners! The 36 page booklet is full of gardening inspiration. Sign up to get your free garden idea book here.. 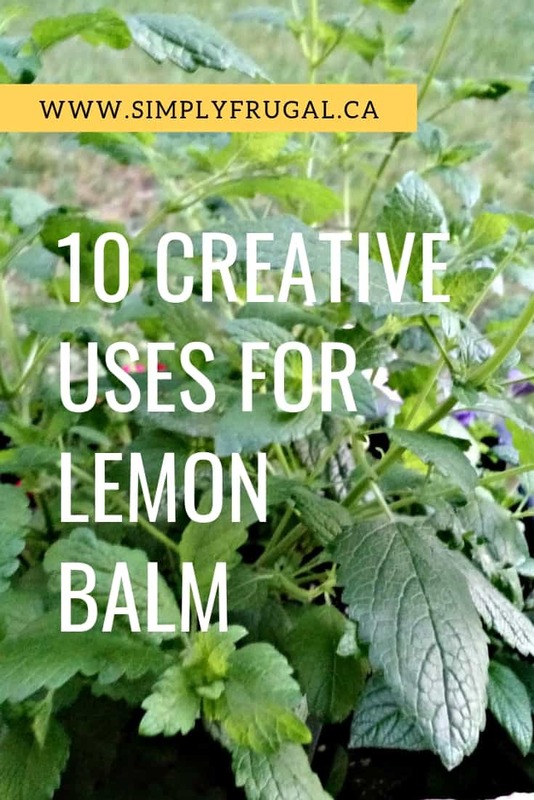 Lemon balm is a perennial herb that grows thick, bushy and abundantly. 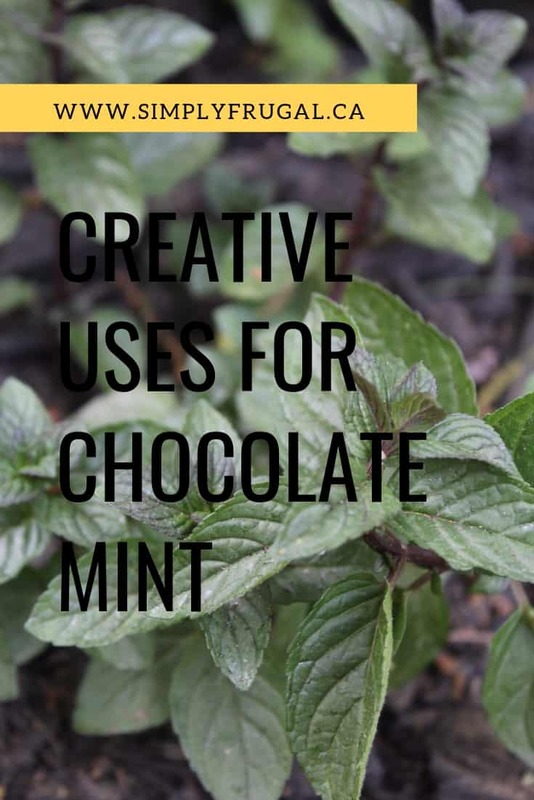 It smells great, is super tasty, and has a variety of fun uses. If you’re wanting to create an herb garden, lemon balm should definitely be included on your plant list. Lemon Balm is a great herb to have in your outdoor living spaces because it’s known for repelling those pesky mosquitoes! I currently have Lemon Balm in a planter with some colorful annuals next to our patio table. You could also try rubbing a few leaves over your arms and legs so the lemon scent is on your skin, warding off the mosquitoes. Bring all the ingredients to a boil for 1 minute, until sugar is dissolved. Strain the leaves from the syrup. I like to use the mixture in lemonade and iced tea or in club soda to make Italian sodas. Dried or fresh lemon balm leaves are great for making a calming tea. Lemon balm is also known for fighting colds and flu so drinking a cup of lemon balm tea is sure to make you feel good! To make lemon balm infused honey, pack a jar half full of lemon balm leaves then fill it up with honey. Let the mixture sit for a month or so before straining. This infused honey is perfect for using in tea, desserts, and more. Lemon balm can be an effective way to treat cold sores. You could create a lip balm by infusing a carrier oil (almond oil, jojoba oil…etc.) with some lemon balm, then combine with some beeswax to get lip balm consistency. Add a few tablespoons of chopped lemon balm leaves to fruit salads to impart some lemony flavor without making it too sour. You could also try mixing some chopped leaves with yogurt to use as topping for fruit salads or for creating parfaits. It’s even yummy in fruit crisps and pies. Another drink I like to make in the summer is Sun Tea. Along with the tea bags, sometimes I like to add some lemon balm or even mint for that matter. It’s crucial to drink a lot of water, but let’s face it, plain water can be boring! Jazz it up by placing some lemon balm leaves and some fruit to your water to make it more exciting to drink. For those of you that grow lemon balm, what are your favorite ways to use it? Attracting butterflies to your garden is not only ideal because of their beauty, but because they can help pollinate your flowers and plants as well! Butterflies are an excellent asset to your garden, which is why attracting them should be on your to do list. Attracting butterflies doesn’t have to be expensive or difficult; in fact, you can get them to come flocking for just pennies! Take a look below at 7 frugal ways to attract butterflies to your garden so you can enjoy them and the benefits they bring all season long. Give butterflies sweet spots to feed on when you place out shallow lids with sugar water in them. The lids of Pringles cans or butter containers are perfect for this task. Then, watch the butterflies come and take a sip. Cut up sponges into cubes and soak them in sugar water. You can then place the sponges out in your garden and wait for butterflies to find then. They will love perching on the soft sponges and drinking the sweet water. 3. Give them watering stations. You can do both of the suggestions above using plain water instead of sugar water so the butterflies have a place to get a cold drink. They get thirsty just like we do, and will flock to spots where water is available for them. Plant some low laying plants and ground cover that butterflies can find shade in. They will appreciate a retreat from the sun and enjoy a shady place to lounge in. 5. Plant butterfly friendly blooms. Butterflies love Rose of Sharon, Butterfly Bush, and many other flowering bush varieties. Add some of these plants to your flower beds and landscaping and the butterflies will return year after year. If you use pesticides in your yard, they will scare and/or kill butterflies off. Instead, avoid using chemicals in your yard and by all means avoid pesticides. Try natural pesticide options instead such as lady bug releasing or a simple spray of Dawn dish soap and water. 7. Let them eat fruit. Butterflies love fruit rinds and peels. Place these items in shallow dishes and place them out for butterflies so they always have a snack on hand! See how simple it can be to bring beautiful butterflies flocking to your yard? Give these tips a try and in no time you will be enjoying beautiful butterflies in your garden, even on the tightest of budgets! This year I’m trying something different for my garden. Normally I grow my veggies in containers, but this year I’m transforming my flower bed! I’m so excited! I have an assortment of perennials in the flower bed, but I moved them all over to one side to make room for veggies. Because it’s still not a big space for growing, I really only want to grow carrots (my daughter loves them raw!). I thought I’d try beets because I love them roasted on salads. Kale because we like to make kale chips. So the picture shows where I’ll be planting stuff. I might add peas in the back so they can climb the fence. I will have some containers. I’ll have my herbs (Basil, tarragon, chocolate mint and strawberry mint), tomatoes and lettuce in containers. They grow well that way. I’m also trying out these Smart Pots for the tomatoes. They seem really great! What will your garden look like this year?